Many teachers only point to No Mind (no mind as I define it here, the complete dissolving of any subjectivity, "Where even the naked Awareness (as any sort of subject or unified mind) is totally forgotten and dissolved into simply scenery, sound, arising thoughts and passing scent." - http://awakeningtoreality.blogspot.com.au/2011/12/experience-realization-view-practice.html) or the experience of "no self" as a stage or state of experience. Having experiences is quite common. Unfortunately not many Realize the profound insight of anatta let alone emptiness. To me, effortless, natural and liberating experience only comes from the arising of insight. The experience of no-mind sounds similar but there is a vast difference with experiential realization. It is thus important to clearly distinguish them. Even after anatta, one should further penetrate into D.O. and emptiness. (9:12 PM) Thusness: no...i mean from a practical aspect, anatta and which aspect belongs to anatta. (9:14 PM) Thusness: ppl that have experienced no-mind knows there is such experience and aims towards achieving it again. (9:14 PM) Thusness: but insight is different...it is a direct experiential realization. (9:14 PM) Thusness: that all along it is so. (10:17 PM) Thusness: Next also understand that when one says "completely without the background" or "without remainder", it is not simply an experience of losing the self into just the radiant world, into complete manifestation. "Without Remainder" requires the full maturing of right view with the right experience no-mind. (10:18 PM) AEN: no mind is like anatta experience, but must have right view to be maintained? whatever said is really “already is”. In seeing, there is always only the seen. In hearing there is always only the sound. Never was there a seer or hearer. All “already is”. Anatta is truly a seal. How amazing! (3:31 PM) Thusness: buddhism is about wisdom, seeing. (3:31 PM) Thusness: it is about seeing more and more clearly our nature. (3:32 PM) Thusness: the nature is already so. (3:32 PM) Thusness: only in engagement and practice we see. (10:44 PM) AEN: hi.. how to experience nonduality effortlessly? (10:46 PM) Thusness: however with the arising insight of anatta, with practice of vipassana, it will turn effortless. (10:51 PM) Thusness: it will come a time when the tendency to dualify dissolves due to deep insight (not just meditative stage), it will turn effortless, vivid and powerfully present. (10:53 PM) Thusness: it almost feel like a natural state of absorption yet vivid present because there is no sense of observer, agent, self just luminous manifestation. (4:25 PM) Thusness: yet u must understand what is meant by ordinary mind. the ordinary mind is the mind of anatta. (4:27 PM) Thusness: if we pretend to be ordinary and try to 'look' for expression of ordinariness then we are deluded. If we fail to realize that true ordinari-ness comes from the realization of anatta and mistaken the finger for the moon, we are deluded. (4:28 PM) Thusness: without the insight of anatta, how could we ever understand the essence of being natural, effortless and ordinary? This is what Buddhism meant by ordinary. (4:30 PM) AEN: icic.. it has to do with insight that makes nondual experience from concentrative to effortless? (4:31 PM) Thusness: yet I have seen ppl aftering 'ordinariness', try to be 'nothing special', attempting to look for expression of ordinariness. That is why for zen practitioners, they will not understand the seven phases of experience. They are caught up by 'forms', by the stages of the OX herding and missed the insight. (4:32 PM) Thusness: unless practitioners realize clearly how these insights lead to the ordinary and natural state, there is no meaning in looking for 'sweep floor and washing dishes' or 'chop wood carry water'. (4:36 PM) Thusness: once u realized anatta, ordinariness and the natural state mean something very different. (4:37 PM) Thusness: u can breathe hard, u can breathe soft, yet both are considered natural and ordinary. (4:38 PM) Thusness: u can take deep breath or short breath, still as non-dual, natural and ordinary. (4:38 PM) Thusness: sincere practitioners can take many years to come to this natural state even after the initial glimpse of insight. (4:39 PM) Thusness: of the anatta insight i mean. what is the difference between non-dual and anatta? (10:31 PM) AEN: non dual is just the non division of subject object... but anatta is seeing through the sense of an inherent one mind/consciousness by seeing consciousness as just manifestation and insubstantial? (10:34 PM) AEN: non dual before anatta still has some referencing back or clinging to something permanent... but anatta is just seeing consciousness as the transience, no referencing? (10:42 PM) Thusness: the functioning of DO. 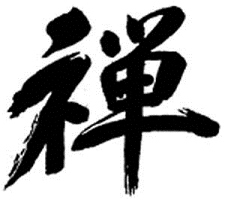 (10:44 PM) Thusness: the second important point is what is 'wu' (realization)? (10:53 PM) Thusness: get it? (10:55 PM) Thusness: For awareness practice, 'insight' is all that matters. (10:56 PM) Thusness: any other thing? (10:58 PM) Thusness: so the insight of anatta and DO...what do these insights bring? (10:59 PM) Thusness: in awareness practice, it is all about 'seeing', about arising insight, about ? (11:05 PM) Thusness: only and purely aggregates and function like DO. (11:11 PM) AEN: how shld i reply richard... shld i also explain the diff between anatta and non dual? There is the unobstructed quality I described in the earlier post. It is not continuous, there are moments of eclipse. Most of the time I dont believe the story, but sometimes under certain circumstanced there is a lapse. It may be a case of old deep conditioning. For instance not long ago my son was kicked in the groin at school because he has mild tourettes, and the other kids were amused. By kicking him in the groin his anxiety and fear made his tourettes worsen to the delight of the bullies. On being called to the school there were moments when the situation, the story, was ....compelling, for me. so much so that equinimity did not come easy. This is very different than say buying fruit at the market and walking slowly home. In my experience there are times when awakeness lapses . With practice the karmic triggers that would close things up before do not close things up as easily now.. "Awakeness" when it is truly clear isnt acknowledged as such, There is no checking back,,,"yes I am awake". Complete eclipse or seeming eclipse rarely occurs now. Once again this is my experience, it may be different for you. (11:50 PM) Thusness: "it is the degree of clarity" of what? degree of clarity on the non-dual and anatta nature of consciousness? (11:52 PM) AEN: of awareness? (11:54 PM) Thusness: one is truly existing behind reality somehow having a 'non-dual' experience. (12:02 AM) Thusness: it is the degree of clarity if the relationship between awareness and transience. what r u talking abt? (12:03 AM) AEN: hmm... rephrasing it: Non-dual is an experience of no subject-object division, it is the degree of clarity of the relationship between awareness and transience that matters. (12:19 AM) Thusness: only and purely aggregates, only the 18 dhatus, 'only the world referencing itself'. The tendency to reference back to a 'Self/self' is replaced by the thorough insight of anatta and DO. (12:20 AM) AEN: u're referring to "
When insight matures, naturally everything is transparently clear and obvious, only and purely aggregates and function like Dependent Origination, no more looking and referencing to a behind reality." (4:48 PM) Thusness: a wise person that has direct insight will understand once it is said but for u, i have told u upteem times to focus on wisdom and realizations, yet you continue to deviate. Thusness: This should be the natural state after the arising insight of anatta. In one of the conversation I told truthz to feel the taste as much as possible, pure taste, the touch, the texture, the skin touches the air, the vibration of train...etc. Think it is in ur forum also... ...u will understand when insight of anatta arise. (3:46 PM) Thusness: this will only comes clear after true insight arises. (7:35 PM) Thusness: therefore if u have the same insight, u have the experience. so to me, that is quite meaningless as such question does not arise to me. (11:53 PM) Thusness: when u realize what anatta is, u realize there isn't an observer behind anything... then how does the question about sensate imperfection arise? (11:53 PM) Thusness: it is like asking questions of where is Self/self when there is no-self. (11:54 PM) Thusness: and you insisting a way to become no-self. do u continue to ask such a question? (11:57 PM) Thusness: and expect an answer to tell u how to treat a snake like a rope? (11:45 PM) Thusness: think mentioned b4 in anatta article that such mode becomes effortless when anatta insight arises. (10:00 PM) Thusness: now observe upekkha... what changes do u c in her? (10:01 PM) Thusness: what else? (10:03 PM) Thusness: no...i mean in her speech and what she wrote, what did u c in her as compared to the past? (10:06 PM) Thusness: what is the difference between upekka and richard? (10:14 PM) Thusness: that experience enables him to realize that in practice, this has to be the case. (10:15 PM) Thusness: or insight of anatta. (10:17 PM) AEN: richard herman is like between stage 4 and 5 now but insight of anatta hasnt arisen? such realization is the essence of koan. (10:21 PM) Thusness: can u c the difference? (10:22 PM) Thusness: when u say spaciousness and openness, is that a form of realization or direct insight of "I AM"? (10:22 PM) Thusness: how could that be? (10:23 PM) Thusness: anatta is like that. (3:27 PM) Thusness: Richard Herman description is good. the 3 is one mind? (3:38 PM) Thusness: the center and still point will not disappear as a result of intermittent experience of no-mind. It requires deep insight of anatta to realize that the fundamental flaw of wrong view is the cause of the center. The center is the karmic tendency to hold, in actual experience, it is just the world that is self-luminous. Always and only this vivid obviousness, nothing else. (3:40 PM) Thusness: forget about the still point, all points on the surface of a sphere are 'a center'. The article of on TATA will be helpful. do i write that to him? (3:42 PM) Thusness: it will also help u to understand where u r now. (3:59 PM) Thusness: where is the TATA article? (11:45 PM) Thusness: if u have not learnt anything from ur understanding of realization and experience, then how will u able to truly understand? (11:47 PM) Thusness: if till now u still do not understand the difference and still have the illusion that without the realization, there can be a break-through into effortless state, then there is no clarity about what leads to effortlessness and doubtlessness. (12:12 AM) Thusness: not by way of non-identification. (12:15 AM) Thusness: if at the back of one's mind, there is this belief of a self, then will experience of no-mind be intermittent or permanent? (12:17 AM) Thusness: so how is one without the realization have a permanent experience of no-mind? There is no clarity, no doubtlessness of no-self, is it possible that there is a permanent and effortless experience of all sensate experiences without self? (1:31 AM) AEN: she said meister eckhart also reached anatta? (1:58 AM) AEN: im reading it again..
(1:24 PM) Thusness: Robert description is still very much in the journey of understanding the profound meaning of anatta. It is nowhere near experiencing emptiness directly. (1:26 PM) Thusness: what she is in is in a state of non-duality struggling to understand the experience of non-dual which she call no-self. Still have not gone beyond the propensities of dualism in the deepest sense. This is not the turning point yet in my opinion. (1:26 PM) Thusness: True turning point is a vividness of anatta is just manifestation alone. (1:27 PM) Thusness: it is total dissolving of 'Self' in whatever sense in clear lucidity and intense luminosity. (1:27 PM) Thusness: there is no sense of thoughts, only crystal clarity and mere lucid sensate vibration. (1:27 PM) Thusness: there is no need to paste me further. (1:28 PM) Thusness: i know the experience is not there yet in my opinion. (1:28 PM) Thusness: what she experienced is still not what longchen experienced. (1:28 PM) Thusness: in no time, if longchen practice diligently, he will experience the true essence of anatta. (1:29 PM) Thusness: but since he left temasek, i hope he can still deligate time for his practice. (1:29 PM) Thusness: to have the right view penetrate into daily action, requires some time and right condition. (1:30 PM) Thusness: if the condition is right, it might just take a year. (2:02 PM) Thusness: wah...the url u pasted is very good. ...The whole point is that as long as consciousness remains, it functions in conjunction with the senses and does not allow for "pure" sensory knowing. Thus we must keep in mind that apart froM consciousness or separate from it, the senses have their own way-of-knowing and partake of a dimension of existence not available to consciousness. In turn, this means that when the mechanism is cut off, we not only lose awareness of the self—or the agent of consciousness on a conscious level—but we lose awareness of the self on an unconscious level as well. Stated more simply: when we can no longer verify or check back (reflect) on the subject of awareness, we lose consciousness of there being any subject of awareness at all. To one who remains self-conscious, of course, this seems impossible. To such a one, the subject of consciousness is so self-evident and logical, it needs no proof. But to the unself-conscious mind, no proof is possible. The first question to be asked is whether or not self-consciousness is necessary for thinking, or if thinking goes right on without a thinker. My answer is that thinking can only arise in a self-conscious mind, which is obviously why the infant mentality cannot survive in an adult world. But once the mind is patterned and conditioned or brought to its full potential as a functioning mechanism, thinking goes right on without any need for a self-conscious mechanism. At the same time, however, it will be a different kind of thinking. Where before, thought had been a product of a reflecting introspective, objectifying mechanism—ever colored with personal feelings and biases—now thought arises spontaneously off the top of the head, and what is more, it arises in the now-moment which is concerned with the immediate present, making it invariably practical. This is undoubtedly a restrictive state of mind, but it is a blessed restrictiveness since the continual movement inward and outward, backward and forward in time, and in the service of feelings, personal projections, and all the rest, is an exhausting state that consumes an untold amount of energy that is otherwise left free. What this means is that thinking goes right on even when there is no self, no thinker, and no self-consciousness; thus, there is no such thing as a totally silent mind—unless, of course, the mind or brain (which I view as synonymous) is physically dead. Certainly something remains when the mind dies, but this "something" has nothing to do with our notions or experiences of a mind, or of thought, or of ordinary awareness. (2:08 PM) Thusness: it will be a good read and guide for u. (2:08 PM) AEN: tats anatta? (2:09 PM) Thusness: why so? (2:09 PM) Thusness: because there is no clarity of no-self. (2:10 PM) Thusness: though what she said is one of the important factor of transiting from non-dual to anatta, it is hardly the essence of our no-self empty nature. (2:11 PM) Thusness: there is no clear insight that even there is consciousness, it is still anatta. (2:12 PM) Thusness: a vivid expression of our essence without any difference. (2:12 PM) Thusness: the essence of there is thoughts, no thinker. (2:13 PM) Thusness: and in thinking, always only thoughts is not clearly understood and vividly experienced. question that arises is whether thinking goes on without a thinker. reflection, introspection or the intrusion of feelings and biases. Therefore, thought goes on even when there is no self, no thinker. (2:13 PM) Thusness: this is different from saying and repeating it aloud in our mind. (2:14 PM) Thusness: experientially it is liberating. (2:14 PM) Thusness: yeah...that is right. (2:15 PM) Thusness: but it is not thoughts goes on even there is no thinker. (2:15 PM) Thusness: it is there is always no thinker, only thoughts. (2:15 PM) Thusness: once u see it as a 'stage', there is no understanding of what anatta is. (2:15 PM) Thusness: then one differentiate between the higher teachings and the lower teachings of buddhism. (2:16 PM) Thusness: but from Theravada to Mahayana to Dzogchen, all is/are the same. (2:16 PM) Thusness: it is taught, just that it is not known. (2:16 PM) Thusness: anatta and DO is already self-liberation. (2:17 PM) Thusness: Although there is a need to emphasize that Theravada fail to see the essence of the teachings, it is not right to say that Buddha did not make this clear. (2:19 PM) Thusness: actually it is the same for all...it is not a problem perculiar only in Theravada. (2:20 PM) Thusness: always keep this in mind: Experiences goes with insight. (2:20 PM) Thusness: Only after the insight, there is true experience. (2:21 PM) Thusness: Otherwise, it is always a 'stage' and thus still a form of delusion. (2:21 PM) Thusness: When it is understood that it is our natural state, that is true insight. (2:22 PM) Thusness: It is insight into the non-dual nature of experience though there are glimpses of anatta....it is not the insight of stage 5. (2:24 PM) Thusness: by the way whatever i told u, just take it as a reference. (2:24 PM) Thusness: don't take it like a bible. (2:24 PM) Thusness: u have to experience it urself. (8:22 PM) Thusness: but it will take some time. Anatta will not dawn that fast. (8:22 PM) Thusness: the furthest u go is non-duality, still mostly advaita sense. (8:22 PM) Thusness: like that of david carse. (8:22 PM) Thusness: for anatta to arise, it will require some time. (8:23 PM) AEN: bernadette roberts also like non dual in the advaita sense? (8:23 PM) Thusness: as u need to understand right 'views', its relationship with consciousness, propensities and the conceptual aspect of anatta, emptiness and DO. Their profound meaings. (8:24 PM) Thusness: i would say so...for bernadette roberts. (8:24 PM) Thusness: the right 'views' are very important but it is not a view really. (8:25 PM) Thusness: for u to go from 5 onwards...even for 4 to 5. It is important. (9:54 PM) Thusness: what she (Bernadette Roberts) said is her own understanding. (9:55 PM) Thusness: and started elaborating it. (9:56 PM) Thusness: but the doctrine of anatta and emptiness is the core of buddhism. She cannot speak of it using her 'skewed' understanding. (9:57 PM) Thusness: the profound meaning of no-self requires one to experience within our deepest experience our whole life. (9:57 PM) Thusness: to buddhism, it is a seal. (9:58 PM) Thusness: it is from before beginning...it is already so. (9:59 PM) Thusness: these 'views' are aquired. (9:59 PM) Thusness: so once we are able to know why luminosity should not be taken as 'Self', we become clear. (10:00 PM) AEN: btw bernadette's experience of nondual is pathless rite means no entry and exit? yet she havent understand anatta? (10:01 PM) Thusness: u can say so except that there is no clarity of insight. (10:02 PM) Thusness: in terms of experience she knows there is no entry or exit...but when she attempts to articulate in terms of concepts, it becomes incoherent. (10:03 PM) Thusness: it is very difficult to convey the experience except that one should have faith in Buddha and walk the path. (10:03 PM) Thusness: just like it is difficult to communicate the difference between stage 1 and 2. (10:03 PM) Thusness: and stage 4 to stage 2. (10:03 PM) Thusness: then stage 5. (10:04 PM) Thusness: unless one experiences it or demonstrate very strong conditions of the tendencies for the awakening of certain insight. (10:05 PM) Thusness: Like I have been telling u but u have not grasp the essence yet. (10:05 PM) Thusness: what i can tell u are to make them into points. (10:05 PM) Thusness: telling u that all already is. (10:07 PM) Thusness: and all is without much effort and self sustaining for the nature is so. (10:07 PM) Thusness: because of our views of seeing things inherently, 'will and control' is the way we act. (10:08 PM) Thusness: when there is arising, 'we' attempt to 'rid' it...for that 'attempt', that 'we', that 'will' are all illusions. (10:08 PM) Thusness: they are illusions created by our inherent views and nothing else. (10:13 PM) Thusness: but we can't 'see' and 'understand' in conventional terms and it is very difficult to put it across conventionally. (11:01 PM) Thusness: what i said is that the dissolving is also an illusion. That is by itself a dualistic view though the experience is there. (11:03 PM) Thusness: although he experiences the non-dual, the insight is still not there. Logan Truthe, Viorica Doina Neacsu, Joel Agee and 12 others like this. Stian Gudmundsen Høiland This post makes me feel like a kid in a candy store. Stian Gudmundsen Høiland Soh, I don't understand Thusness' criticism of Bernadette Roberts. It seems to have to do with the aspect of "always already"—that she is not clear on the "gatelessness" of anatta, treating it as a state/stage and not a seal. Maybe you can elaborate? Stian Gudmundsen Høiland I see you say that she has the experience, but not the insight. But, as far as I've gathered, she's not "going in and out of it"—she went "in" once, and it stayed like that. Soh self/Self in all its forms are a kind of ignorant view. To unravel the causes of clinging and suffering, the only way is for prajna wisdom to arise to eliminate ignorance. You cannot train yourself in certain experience and expect to root out the fundamental causes of clinging and suffering/eliminate ignorance through focusing on experience. The same applies for "sense of self". You cannot get rid of the idea that there is a self merely by forgetting it. Just as one must hold a lamp and see that there is no self/Self/seer/hearer/thinker/feeler/etc there besides the seen/heard/smell/thought/feeling, so the illumination of wisdom is needed to clear away the darkness of ignorance. Piotr Ludwiński "she went "in" once, and it stayed like that." that's the problem; she seem to conceive it as "getting in". Realizing anatta as seal would mean insight that all along there never was subject to begin with. Like UG Krishnamurti wrote: "The lower self, the higher self and self knowing, self-knowledge, knowing from moment to moment, is absolute rubbish, balderdash! You can indulge in such absolute nonsense and build up philosophical theories but there is no subject there at all, at any time." Mason Spransy It is true, though, that one can fall in and out of vidya/recognition - correct? John Ahn Does anyone really want to follow in the footsteps of UG? Stian Gudmundsen Høiland Soh, Bernadette uses expressions such as "permanent cessation" and "irreversible event". Why would you interpret that as "efforting is still necessary"? Soh I think it is an overclaim, and I do not really see that she is having vivid, clear experience of anatta, but she is having nondual experience. Soh (1:26 PM) Thusness: what she is in is in a state of non-duality struggling to understand the experience of non-dual which she call no-self. Still have not gone beyond the propensities of dualism in the deepest sense. This is not the turning point yet in my opinion. Mason Spransy It seems that you are establishing a very strict duality of experience versus insight. You emphasize it more than most other teachers, which is interesting. According to Ven. Sheng Yen, for instance, when one is truly unattached to phenomena, their empty condition is manifest. So for him, the experience of No Mind is equivalent to insight into emptiness. If you look deeper into his writings, you will find him saying exactly this. And in my limited understanding of Dzogchen, one trains in continual recognition of the natural state (union of clarity and emptiness). It does not become your permanent condition immeditately; it must be recognized again and again. It seems that insight has levels of clarity. E.g. to realize that anatta is a dharma seal which has always and will forever be the case, making total non-dual experience completely effortless, is a very deep kind of awakening. But is it not the fruit of a very deep non-dual experience? As for the Bernadette Roberts discussion: if one has not gone beyond the propensities of dualism, and dualistic effort is still present within one's "non-dual experience", could it really be called a true experience of non-dual or is it not just an illusion? When someone forgets about himself momentarily while listening to a piece of music, he may say something like "I became the music." But that is an illusion, because really he just experienced relatively less dualistic fixation at that time - but there was still a subject/object division. If one were to listen to a piece of music and drop all dualistic fixation entirely, though, on what basis could it arise again? And furthermore: in my experience, we can have insights that we are not even cognizant of. Some years ago I experienced a permanent perceptual shift into a non-dual mode of experience, but at the time I could not say what had really changed except that everything was different. Only a number of months later, after doing extensive reading, did I start to realize that I had made an insight into anatta (recognition of anatta as a dharma seal). This is probably what happened to Roberts, in my opinion. Piotr Ludwiński "though, on what basis could it arise again?" karmic propensities. for example - one claims effortless non-dual and then one gets surrounded by robbers in dark alley. Mason Spransy re: "karmic propensities." If these dualistic propensities are still present, then how could the experience be completely non-dual? There must still be - even if extremely subtle (at the level of the alaya-vijñana perhaps) - some degree of fixation present. And on the basis of that subtle fixation, the process of samsara re-arises. However, if one has a total non-dual experience, there is no basis for the re-arising of samsara, and one becomes an Arahant. This is what happened for Bahiya in the Bahiya Sutta for example. Mason Spransy That is just my theory, though. I am open to evidence to the contrary. Piotr Ludwiński Realization of anatta is not synonymous with arhathood. Mason Spransy I agree that realization is not synonymous with arhatship. (3) Perfect realization is the fruit of complete non-dual experience. "According to Ven. Sheng Yen, for instance, when one is truly unattached to phenomena, their empty condition is manifest. So for him, the experience of No Mind is equivalent to insight into emptiness. If you look deeper into his writings, you will find him saying exactly this. " You see, I do not really like to comment on teachers unnecessarily, but people have told me things Ven. Sheng Yen said that I felt was problematic. Primarily, he is confusing experience with wisdom and realization. His teaching emphasizes the experience of no-mind but does not seem to emphasize the experiential realization. Soh " But is it not the fruit of a very deep non-dual experience? " Mason Spransy Well that is precisely the issue I'm inquiring into. You and Thusness dualize experience versus realization to a degree that seems, to me, extreme. Simple question: What is the phenomenological difference between insight and experience? Soh Realization of anatta is not non-dual experience but an insight and penetration of a false view, i.e. seer-seeing-seen view. There is clear insight that there isn't any seer, or seeing, apart from the seen. In the seen just the seen, in the cognized just the cognized no you in terms of that, in here, in between nor is there an out there. One can have non-dual experience but if there is no clarity of view or if one still subtly holds the view of a "seer" or a "seeing" in and of itself, then it is not possible that there could be effortless non-dual mode of experience, even if one may think it is effortless... it is not so. anatta is not just about nondual. but experience is implicitly nondual when anatta is seen. anatta is a realization that there never was a seer or a seeing apart from seen, the manifestation. that is to say, one can have vivid nondual experience but there might not be clarity of insight. what is crucial or the key to effortless, natural and liberating experience is insight/realization - insight into the relationship of awareness and transience, until one realizes impermanence is buddha-nature. (11:51 PM) Thusness: non-dual and anatta is a matter of degree of clarity of what? (9:19 PM) Thusness: even when non-dual is experience, one can still attached to One Mind. (9:20 PM) Thusness: now in bahiya sutta, in the seen, just the seen...will a person that experienced One Mind experience this also? (9:21 PM) Thusness: why not? We can know that Bernadette Robert's understanding of non-dual is still very much Advaita kind, and her view still rests in One Mind. She sees seer-seeing-seen as inseparable holds onto Pure Subjectivity, the "one eye seeing itself" as everything. Mason Spransy How is it possible to have complete non-dual experience while at the same time holding to a dualistic view? That makes no sense. It would be like eating something that tasted absolutely delicious, but at the same time thinking "this is disgusting." Experience is conditioned by one's view. View is conditioned by one's experience. How could they be separate? As it is said in Zen: the substance of prajna is samadhi, the substance of samadhi is prajna. Soh At deep states of absorption or mindfulness, the bond of 'self' can be temporarily dissolved. It is suppressed or temporarily forgotten. But the latent tendencies towards sense of self will continue to manifest after that period of peak experience. Mason Spransy I ask again: What is the phenomenological difference between experience and realization? A "non-dual experience", in common parlance, is simply one in which the sense of a subject or subjective response to sensory experience drops away. The attachment to "subject" does not disappear, but the calcified experience of it does. In non-dual realization, however, the attachment is what drops away. Such that a "subject," as such, can re-arise in such a way that does not impede non-dual experience. This is where, I think, you are confused. When Sheng Yen talks about No Mind, he is talking about the dropping of attachment to all phenomena - not simply the temporary disappearance of the sensory experiences that constitute our sense of self. Mason Spransy Wisdom and non-attachment are equivalent. That is, in my view, the core teaching of Buddhism. Mason Spransy Yes, several times. Soh Ok. "I ask again: What is the phenomenological difference between experience and realization?" In experience of No-Mind, we could say the bond or perceptual veil that is the construing/conceiving of a Subject (in any form, including the sense of being a looker looking from a vantage point in the body), so there is just that vivid, luminous experience of trees, sky, sensation of coolness, bird chirping - etc, completely purified of any sense of any background looker or self/Self. It is just an experience, there can be no insight involved, no realization of anything whatsoever. In a realization, there is direct insight and penetration that the agent never existed, and is completely extra and a delusional imputation - there never was a seer-seeing-seen or even a seeing apart from the seen - there is always just the self-luminous seen, and seeing is always only another word for the seen, never something in and of itself. This leads to a release of some fundamental delusion that leads to the conceiving of a self or a seeng. "The attachment to "subject" does not disappear, but the calcified experience of it does." At the moment of a peak experience of No-Mind, the attachments towards a "subject" does disappear - temporarily. "In non-dual realization, however, the attachment is what drops away." In the realization of anatta (not just non-dual insight as there can be different depths of non-dual insights), the attachment to a Subject does drop away, however realization of anatta is not just 'attachment to a Subject drop away' but realizing there never was a Subject - that Subject is completely delusional, and therefore, finally seeing the rope is a rope and nothing to do with a snake, seeing that "in the seen is only the seen never a seer", the attachment towards the snake or the seer falls away as there is a quantum leap in terms of view. "Such that a "subject," as such, can re-arise in such a way that does not impede non-dual experience." There is no arising of a "subject" - there never was a "subject". Just like there never was any "snake" in the rope. Any sense of a subject - which is delusional - would automatically impede non-dual experience. There is always in sensing just sensations, no sensor. In seeing just scenery, no seer. In hearing just sounds, no hearer. Any sense of a subject is pure delusion without basis. "This is where, I think, you are confused. When Sheng Yen talks about No Mind, he is talking about the dropping of attachment to all phenomena - not simply the temporary disappearance of the sensory experiences that constitute our sense of self." Yes that is also my definition of No Mind. Yet No Mind is not realization. Actually not "dropping all attachments to all phenomena" but "dropping any attachment to a Self/Subject"
John Ahn Experiences can be accidental and conjured. Anatta is wisdom, which is correctly understanding the experience and how it is conjured. The term non-dual is used pretty loosely, but I would say one has not completely entered nonduality until emptiness is fully realized, since "inherence" is how duality arises. Stian Gudmundsen Høiland As far as I understand, having an experience is like "beginner's luck", while insight is like a binary state of mastery. But this seems awfully inherent. Instead, if we talk about this in terms of causes and conditions, the distinction between experience and insight breaks down, doesn't it? Then it sounds like what Mason mentioned of the gradual approach of Dzogchen, where wisdom is trained through recurring recognition. I know Ken Wilber has an elaborate take on the distinction between experience and insight. I think he calls it "states and stages" instead. Ken Wilber also had a wonderful treatment of a specific, recurring theme in spiritual realization (I don't remember clearly his formulation, which was amazingly clear) where the realizer at one point seemingly, ironically and perplexingly denies the efficiency of his own path. This sounds a lot like the gatelessness or "always already"-aspect. Soh "not simply the temporary disappearance of the sensory experiences that constitute our sense of self." Stian Gudmundsen Høiland Hey Soh. Yes, you are very clear on this ("there never was a 'subject'"). In a temporal sense, what was the delusion, then? If there never was a subject, what was the apparent subject? Is the apparent, delusional subject/delusion being denied to ever have taken place? Well, it seems I'm answering my own questions as I ask them—the issue is the unborn aspect (alpha purity), methinks. Soh As I said, "
Sense of self is constituted by a false mental conceiving/construing that is part and parcel of every deluded experience. You cannot dissolve sense of self without either 1) temporarily suspending the bond/veil of self in practice, or 2) overcoming the bond by releasing ignorance with wisdom"
John Ahn Self isn't a thing, it's a deluded activity. Stian Gudmundsen Høiland Okay, so far I'm following. There is delusion, and this delusion is the subject. Now, I would be surprised if it turned out that this discussion arises from the fact that you are attacking this most conventional designation of subject. The delusion is the subject, the subject is a delusion. The subject has the reality-status of a delusion. Like what John said: "Self isn't a thing, it's deluded activity". I mean, of course it is. And this activity happens. There is delusion—basically the first noble truth. So what's the problem then? John Ahn Well, a lot of people seem to be able to suspend this deluded activity without understanding the mechanism of how it arises. And Soh is pointing out that this isn't insight. This deluded activity *is* the Self/Subject. There's no ontological or metaphysical essence or True Reality that is Self/Subject—Self/Subject is delusion, delusion is Self. Is there a problem with designating the subject like that? Stian Gudmundsen Høiland Yeah, I see, John. But just how useless is the suspension of that deluded activity? It seems to me that Soh is suggesting that it is very useless. John Ahn No not at all, experiences are very significant milestones. From my personal experience, it wasn't until I had a profound experience of non-duality that I even saw the possibility of anatta. Mason Spransy There are two components to the experience of self: a stream of thoughts, perceptions and feelings, one the one hand, and the mental process of conceiving those phenomena as "self," on the other. In a samadhi state, the stream of phenomena itself is what ceases. The mental process thus has no basis on which to arise, and therefore it can seem like one has dropped all duality or attachment. But that is not the case - the dualistic fixation remains, but the phenomena that constitute the experience of duality are lessened or absent. In a true No Mind experience (in Sheng Yen's terminology), there is no attachment or fixation whatsoever. The subjective processes that previously constituted a sense of self can re-arise in response to conditions, but there is no longer any attachment to them, and therefore no possibility of conceiving them as self. Stian Gudmundsen Høiland Sure John. I'm trying to be clear on the intention of designating a subject. There *IS* a subject—it is identical with the deluded activity. If that sounds good, then we're fine. If not, then I point out that this subject is actually just a designation, not an actual, Real, True Reality. Stian Gudmundsen Høiland But Soh, the Snake is the deluded activity. It is purely a mind projection, a mistaken one at that. No Snake exists outside the mistaken mind-assumption of one. John Ahn I feel like we're now just playing with words. .
Soh "It seems to me that Soh is suggesting that it is very useless." It is useful but should not be made into a focus. The focus should be on insight and investigating and challenging one's view. After insight, the experiences are there naturally and effortlessly. One can be sidetracked by experiences by focusing on those experiences only or trying to cultivate those experiences without refining one's view. After insight, one should actualize one's view in direct experience, so that experience, realization, view are fully in sync. John Ahn Just think of everything as verbs and not nouns and it all makes more sense. Stian Gudmundsen Høiland Sure John, I get that. I usually use the word "process" instead of "verbs". Another way to phrase it is causes and conditions in their continual unfolding or becoming. John Ahn Hey Mason Spransy so in your view, what gives rise to this no attachment? Mason Spransy It does not arise! It is the original condition of mind. > One can be sidetracked by experiences by focusing on those experiences only without refining one's view. That sounds like a limited perspective. Experience refine's the view and the view refines the experience, cf. the recurrent recognition in Dzogchen. Soh "There are two components to the experience of self: a stream of thoughts, perceptions and feelings, one the one hand, and the mental process of conceiving those phenomena as "self," on the other. In a samadhi state, the stream of phenomena itself is what ceases." I see it otherwise: In samadhi state, the stream of phenomena does not need to cease. Gross mental hindrances does get suspended. The subject-object duality does temporarily cease or one feels like one has merged with the object of concentration until there is just the chant, the mental state or whatever it is, or one has forgotten the self and there is just the chant/mental state/etc. But this is not to say there is no stream of phenomena at all, or no chanting, etc - which would be an unconscious state. "The mental process thus has no basis on which to arise, and therefore it can seem like one has dropped all duality or attachment." I think you're talking about suspending the gross mental activities or conceptualizations and thoughts. However all these have nothing to do with what I call "No Mind"
"But that is not the case - the dualistic fixation remains, but the phenomena that constitute the experience of duality are lessened or absent." What you are describing is nothing at all like the No Mind that I described. "In a true No Mind experience (in Sheng Yen's terminology), there is no attachment or fixation whatsoever. The subjective processes that previously constituted a sense of self can re-arise in response to conditions, but there is no longer any attachment to them, and therefore no possibility of conceiving them as self." First of all, the process that constitute a sense of self is the ignorance and conceiving/construing of a subject/self/Self out of that ignorance. It is a perceptual veil, bond, etc. That construing can be suspended in deep samadhi but is merely a peak experience. It can only be released through wisdom. Stian Gudmundsen Høiland Mason, yummy! John Ahn Mason Spransy, I was asking, how does a practitioner arrive there. Let's not get so caught up in words. Mason Spransy And John, I was saying: a practitioner does not arrive there. It is recognized. That is precisely my point. Non-attachment is both an experience and a realization at once: it is an experience of profound equanimity, on the one hand, and the realization of one's true condition, on the other. Basically, I'm just very skeptical that anyone claiming true experience of No Mind without concomitant realization is really experiencing No Mind at all. Mason Spransy When you touch a flame, how long does it take you to realize that it is hot? Mason Spransy Sheng Yen frequently uses this analogy: a gatekeeper stands at the gate of Chan. You want to go through, but the gatekeeper says that you must first take off your clothes. You do so reluctantly. Then he says that you must give up your body. You hesitate, but decide that it's worth it and thus give up your body. Finally, he says that you must give up even your mind to get through the gate. You must die completely. So in a moment of total exertion, you give up even your mind to get through. But then you realize: there's no gate, no gatekeeper, and nothing to give up - and there never was! That is the true experience of No Mind. Soh That description is still far from what I consider a true experience of No Mind. First of all, the "mind" that must be given up is not just "thoughts" or "conceptualization", but any sense of a Subject/self/Self/feeler/sensor/seer. Secondly, when this sense of a Subject is suspended, it does not lead towards oblivion but towards the vivid, direct, non-dual and gapless experience of "mere scenery, mere sounds, mere sensation" without any sense/conceiving of a vantage point/looker/observer from which those are experienced from. If there are these two qualities, then the experience qualifies as what I call "No Mind"
Even this "No Mind" experience is not realization and I had plenty of glimpses of "No Mind" before insight or realization arose. Mason Spransy You seem to have mistaken me. I never meant to say or imply that No Mind is an experience of cessation or oblivion. Soh The realization must be a direct realization of the absence of a Subject essence. "1. First there must be a deep conviction that arising does not need an essence. That view of subjective essence is simply a convenient view." Mason Spransy "Even this "No Mind" experience is not realization and I had plenty of glimpses of "No Mind" before insight or realization arose." Perhaps "glimpse" is the key word here. That would be like putting your hand above a stove - it may take a while to realize it's hot. Put your hand in a fire directly, however, and the experience of the fire and realization that it is hot are immediate, equivalent. Soh I had an experience of No Mind that lasted about two days without any direct experiential insight into Anatta. Some people had it longer. Mason Spransy I agree that experience and realization are not the exact same thing. But according to you, they are very much separate, or at best, there is a one-way relation between them. That makes no sense to me logically, and it does not add up with my experience or the experience of other teachers. Soh My experience is that there can be peak experiences without realization (i.e. cannot be fully stable, effortless or natural), but realization will definitely come with its experiences and furthermore is natural and effortless. Mason Spransy So experience conditions view, and view conditions experience. Can we agree on this point? Soh View conditions experience. However, (peak) experience does not necessarily condition (i.e. cause a change) in view, for example, as AF Richard pointed out, everyone does have a PCE (or what I call No Mind) experience some time in their life (usually childhood). It's easy to have No Mind experience, much less often do you see people describe realization. Soh I had No Mind experience even before I had I AM realization, or non-dual, or anatta or emptiness. Mason Spransy There are many levels of experience, and many levels of view. If you're saying that one can have a deep experience without any concomitant alteration in view, that just makes no sense to me and we'll have to leave it at that. Soh Mason, it's not just me who report having peak experiences without realization. Mason Spransy I simply do not have enough experience of my own to continue this argument. I can accept what you say provisionally, but I will definitely be experimenting! Stian Gudmundsen Høiland The way I understand it is that ignorance is an imprint. The taste of sweetness is also an imprint. For sweetness to arise, there must be a coming together of the correlated causes and conditions. Some of those causes and conditions can be thought of as "long-term" and some "short-term". Like say, being born a human with a tongue is a long-term condition, a sugar-craving is a medium-term condition and a sweet-tasting treat about to touch the tongue is a short-term condition. These conditions (conventionally) constitute the arising of sweetness. Importantly, sweetness is an ever-present potentiality with basis for arising in these conditions (some of which are very, very long-term, like the presence of life-sustaining oxygen in the Earth's atmosphere or the molecular structure of carbon). So in a sense we are always having an experience of sweetness as an imprint and ever-present potentiality, though it does not always arise or manifest as phenomenon. It's in this way that the condition of ignorance gives rise to samsara. This temporary cessation (as far as I understand it is called No Mind by Soh) is a fantastic occurrence (because it is, relative to the mass of suffering, close to liberation), usually brief and not an indication of the extinction of the root condition. The challenge is to see how sweetness is an imprint, an ever-present potentiality with basis for arising in it's correlated causes and conditions. In a sense, sweetness is always 'occurring' as an imprint, while simultaneously it is not always arising. Same goes for ignorance. It is always present until it is not, giving rise to various forms of suffering—both long and short-term, subtle and overt. This "always present/occurring"-ness is karmic momentum. Karmic tendencies aren't some inherently existing entity hiding somewhere but rather can be directly realized as total exertion in real time just like the shapes and colours are not the shapes and colours of a hidden "table" but rather "table" IS the shapes and colours that can be directly realized in real time. Mason Spransy Where are the karmic tendencies when one enters a No Mind state (without the concomitant realization? So for example, a person in deep sleep does not experience desires/fears/etc. Or a person in the waking state who has just seen a piece of 'green stuff on the floor' does not experience desire. That is called non-analytical cessation, it is the absence of certain arising due to the absence or incompleteness of causes and conditions. Yet, in the next moment, there is mental recognition "the green stuff is money! omg, i must pick it up, i can use it to buy lots of stuff, etc etc" Desire and thought arises when the causes and conditions are fulfilled. Now, there are conventionally speaking, a few kinds of unconditioned dharmas such as the two cessations. Yet, even though non-analytical cessation is an unconditioned dharma it is not the same as nirvana which is analytical cessation. Analytical cessation is the elimination/termination of the latent tendencies towards clinging and delusion, through experiential wisdom into the nature of dharma. It is not suppression, it is not a passing state, etc. It is permanent. That is Nirvana. Mason Spransy And, to be clear: The experience of nirvana is exactly equivalent to the experience of No Mind? The difference is simply in insight? Soh Nirvana is the complete cessation of all delusions and effects of delusions including all forms of attachment, craving, aggression, etc. All latent sense of self are completely terminated (not merely suspended/suppressed/etc) with no more potential for manifesting again. Soh Sorry to answer your question directly: it is not just insight, but full actualization of insight to the point where all latent tendencies towards afflictions are exhausted/terminated/ceased (Nirvana). This is the difference between Sotapanna and Arahant, 1st bhumi and 8th bhumi, etc. Viorica Doina Neacsu Great thread! Thank you all! Joel Agee Where can I find a good description of the bhumis? Though that exposition goes to the 10th bhūmi. Dzogchen has 16, and there is one list which goes past 16 (in standard Vajrayāna I believe). The bhūmis past the 10th are merely additional 'aspects' of the natural state. Joel Agee Thank you both! Mardava Christian Palocz Who is there to experience Nirvana? Hence my question and insistence that Nirvana is not an experience. John Ahn Experience doesn't necessitate an experiencer, and this is an aspect of Anatta insight. Stian Gudmundsen Høiland Depends how one defines experience... Or does it? The key word is "define". No such thing in Measureless Mind. Stian Gudmundsen Høiland Practically speaking, experience is structured. Structured what? Right there is the intuitive answer. For the sake of narrative, let's call the "what" of experience, simply "experience". Experience, then, is structured experience. With no structure, experience is no longer experience.